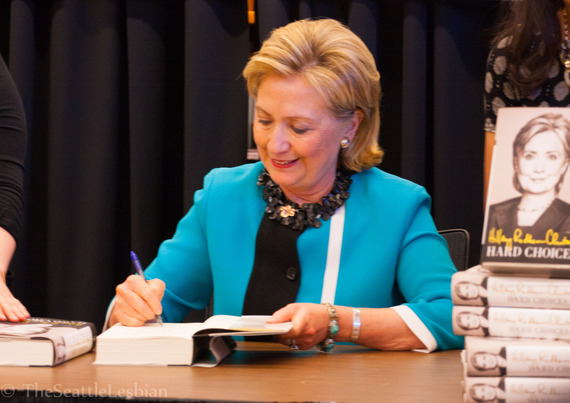 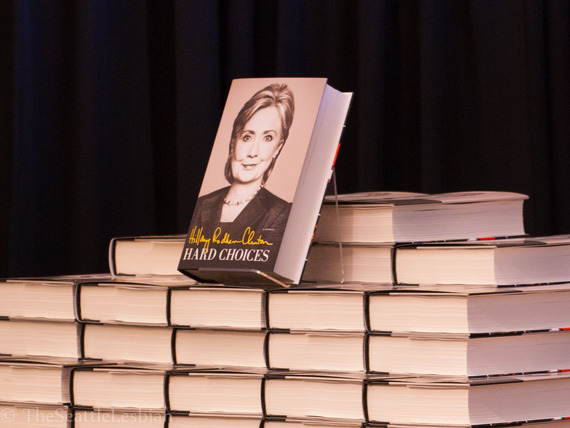 Hillary Rodham Clinton greeted fans and signed 1,200 copies of her new book Hard Choices at University Book Store in Seattle on Wednesday, June 18. 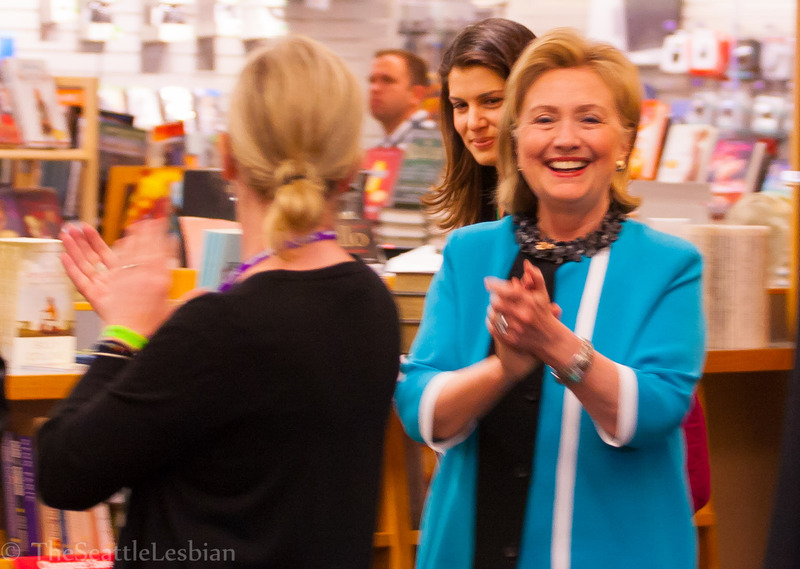 The former Secretary of State arrived promptly at 5 p.m. to lines snaking throughout two levels of the 89,000 square foot store in the U District. 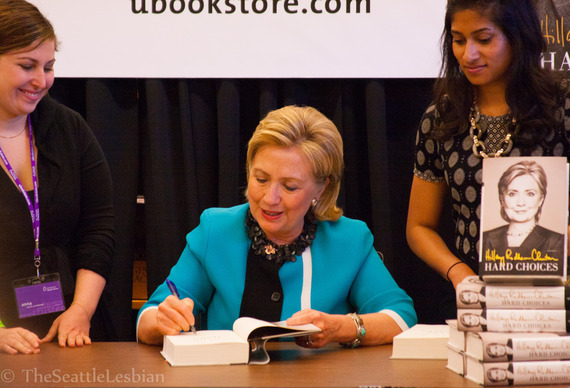 Customers who purchased wristbands to get a book and a place in the signing line started lining up on "The Ave" as early at 4 a.m., according to store security. 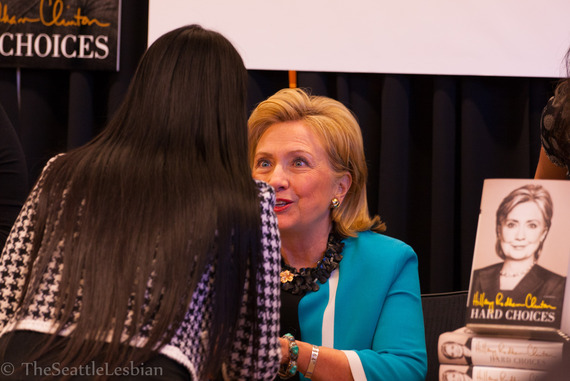 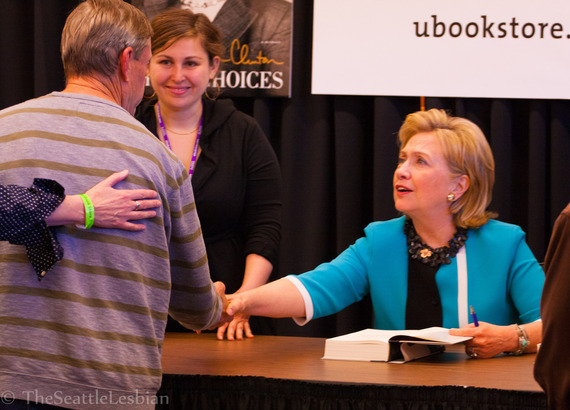 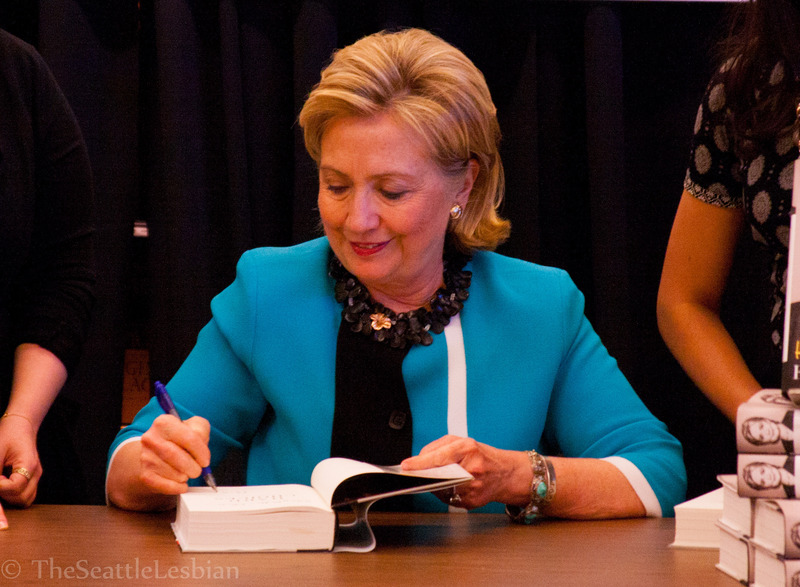 Every customer with a wristband had the chance to greet Clinton and watch her scribe "Hillary" in their book. Customers were allowed to take cell phone photos from a spot in the line about 10 feet from the signing table. Hillary for 2016? The LGBT community may just have a clear front runner if the guest and media turnout was any indication. 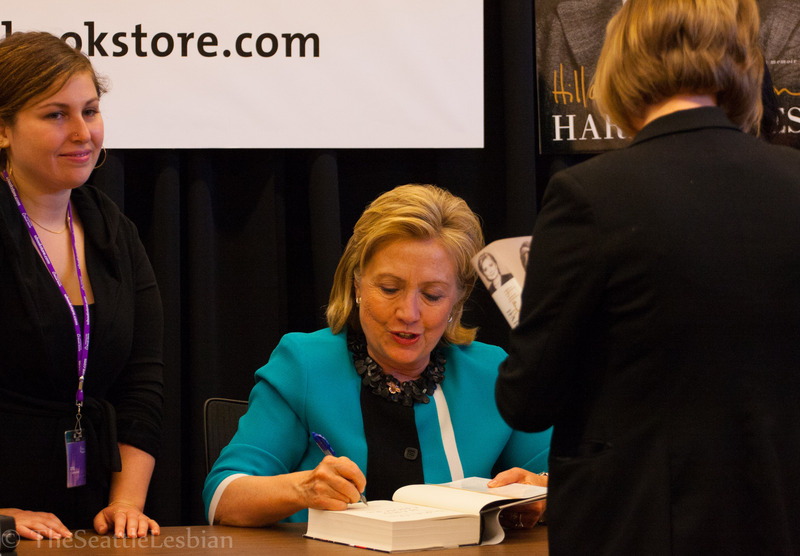 Approved press lined up beginning at 2:30 p.m. and were escorted into the signing line following their quick captures. 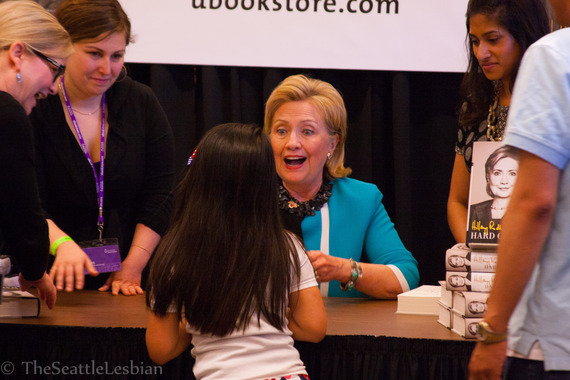 The following images are courtesy of The Seattle Lesbian Staff Photographer Steph Brusig and are used here with permission.